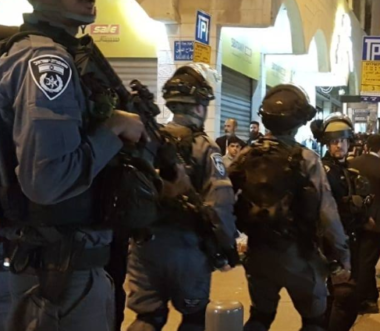 Israeli soldiers invaded, late on Saturday at night, the town of Silwan, south of the Al-Aqsa Mosque, in occupied Jerusalem, and abducted two young men. Media sources said several army jeeps invaded Batn al-Hawa neighborhood in Silwan and conducted extensive searches of homes. They added that the soldiers abducted Mahmoud Jamal Gheith, and Mo’taz Rajabi, 22, from the neighborhood and took them to an interrogation facility.